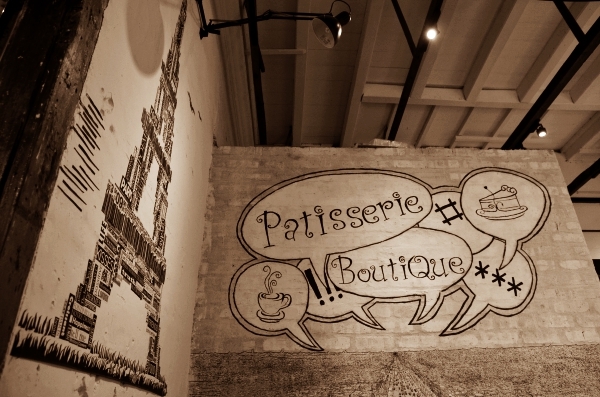 Their strength lies in their line-up of homemade cakes and desserts, coupled with cups of freshly brewed coffee and tea. The ambience, meanwhile, is all about cool elegance in a contemporary, laidback setting. The window space spans from the floor to the ceiling, letting in just enough natural light to perk up your mood; the glass is tinted and there are blinds to reduce the glare and scorching impact of the sun. 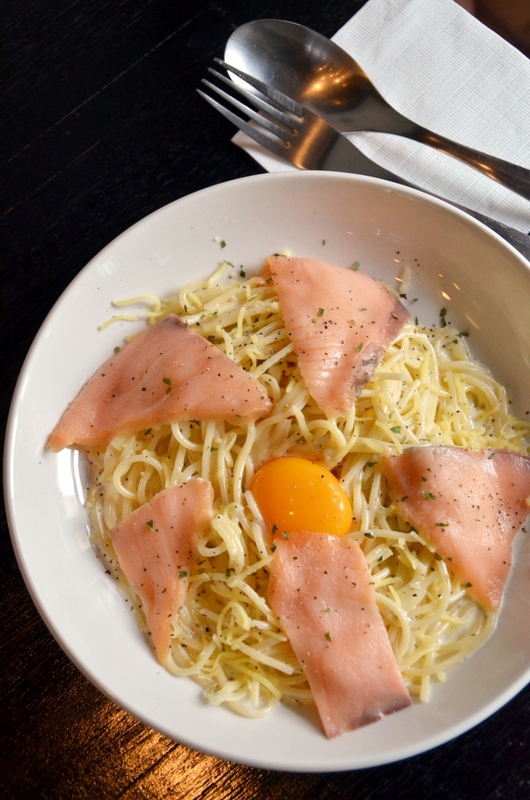 Let’s start with the more substantial “mains.” The Salmon Carbonara (RM22) arrived with a whole raw egg yolk on top of the spaghetti which has been cooked with cream, and surrounded by five slices of smoked salmon. Expectations were running low initially, this being a patisserie after all with a sheer focus on their desserts and coffee. However, the pasta was not too shabby; the cream sauce was far from cloying nor overwhelming, the smoked salmon slices lent a smoky, briny taste to the noodles while the raw egg yolk might take some getting used to, but once stirred in, the ensemble worked perfectly. 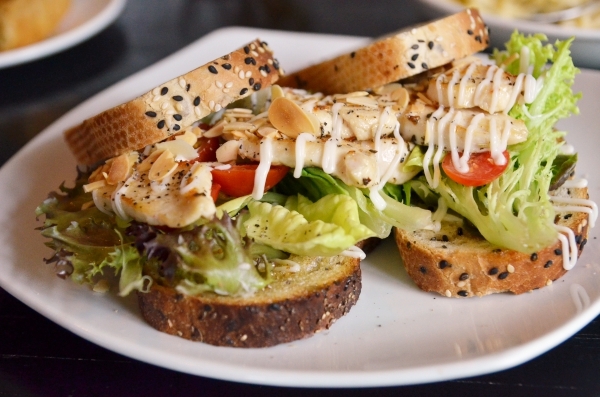 The grilled chicken with honey mustard dressing sandwiched between slices of multi-grain bread (usually croissants are used) is a healthier choice for lunch, and allows you to save more space for desserts! We also shared two lighter, savoury bites from the counter; the smoked duck quiche (RM13) and the honey mustard chicken croissant (RM16). The former was a cheesier rendition of quiche with layered flakes of shredded smoked duck meat, heated prior to being served and drizzled with a slightly tangy, brown sauce. They ran out of croissants that day hence the chicken sandwich was replaced with slices of multi-grain bread; filled with a juicy fillet of grilled chicken, lettuce and cherry tomatoes, coarsely ground black pepper, almond flakes and drizzled with a honey mustard sauce. The sandwich was really good; definitely one of the better ones in Ipoh and at least not half-heartedly made with cold, hard white bread from the supermarket. 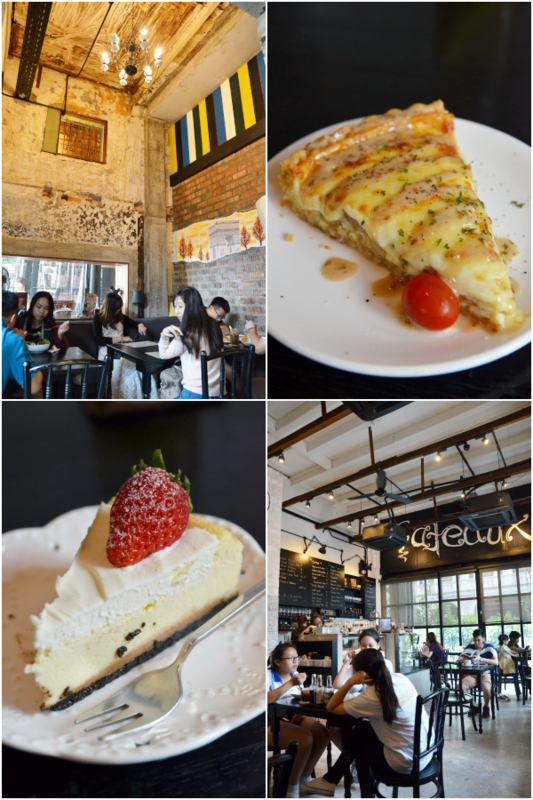 The savoury options set a relatively high expectation for the desserts; in our case the highlight was the soufflé pancake (RM16). From a purely aesthetics point of view, the soufflé served in a pan and topped with strawberries and blueberries and a scoop of ice-cream easily won brownie points with us. 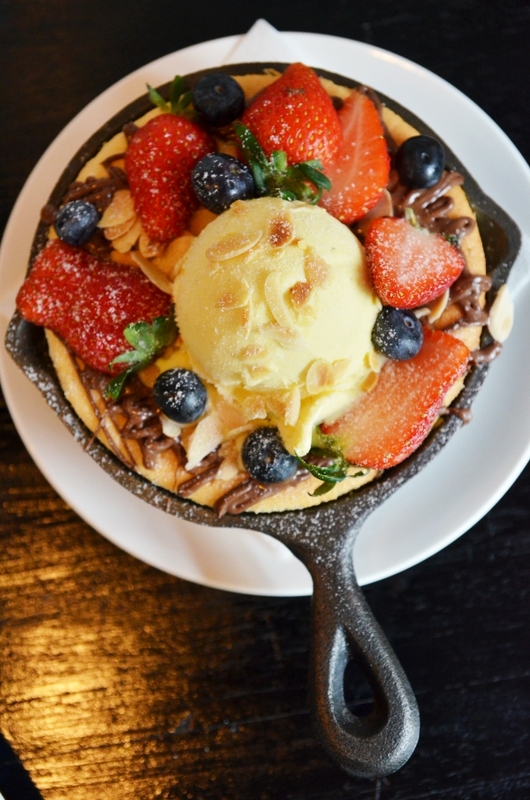 The soufflé pancake was a warm, fluffy and airy confection; think along the same line as the Japanese style chiffon cake or cheesecake, the sweetness level was mild but accentuated by the scoop of ice-cream with crunchy almond flakes while fresh strawberries and blueberries gave the sweet dessert, a slight tangy taste. Oh, and just in case you are still not convinced, they added Nutella sauce on the soufflé. That sealed the deal for me actually. Last but not least, we shared a slice of New York-style cheesecake, made with fresh cream and strawberry. The texture, taste and portion was just right to end a meal with. Despite the original intention to try every single slice of cake (at least 5 or 6) available, we simply could not after our satisfying meal. 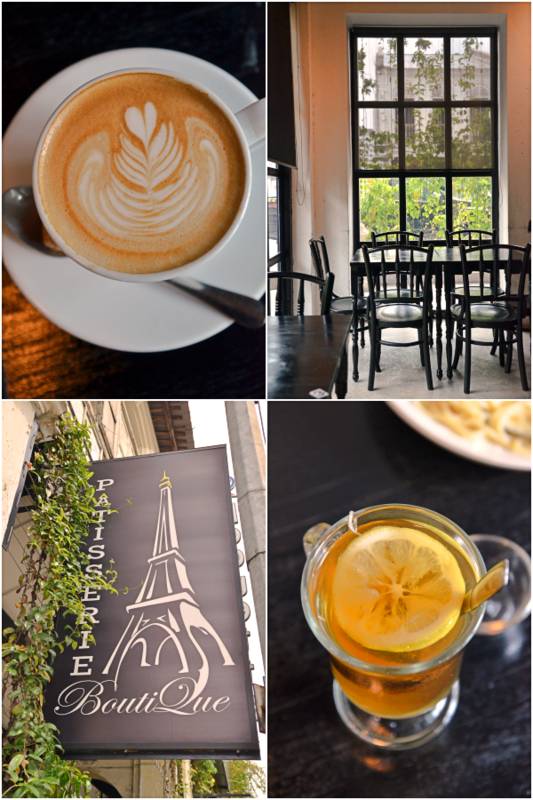 Nothing beats ending a meal with desserts and coffee, and at Pâtisserie BoutiQue the cafe latte was satisfying; served warm with the right amount of milk and provided just enough kick to keep us awake for the rest of the afternoon and not slip into a deep slumber. 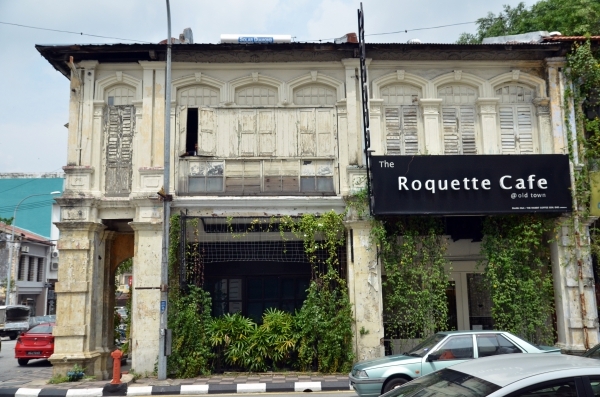 103, Jalan Sultan Yussuf, 30000 Ipoh, Perak, Malaysia. Open from 10.30am to 6.00pm. Closes on Wednesdays.